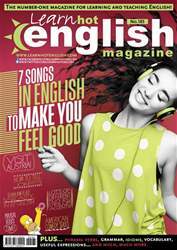 Digital Subscriptions > Learn Hot English > 185 > Have you got a sense of humour? CAN YOU LAUGH AT YOURSELF? DO YOU FIND MOST JOKES FUNNY? DO OUR QUIZ AND FIND OUT WHETHER YOU HAVE A SENSE OF HUMOUR OR NOT. 1 You accidentally leave the house with different coloured socks on. What do you do? a. I rush home and change the socks. b. I pop into the nearest shop and buy a new pair. c. Nothing. I think it looks quite good. 2 Someone tells an innocent joke about people from your country. What do you do?